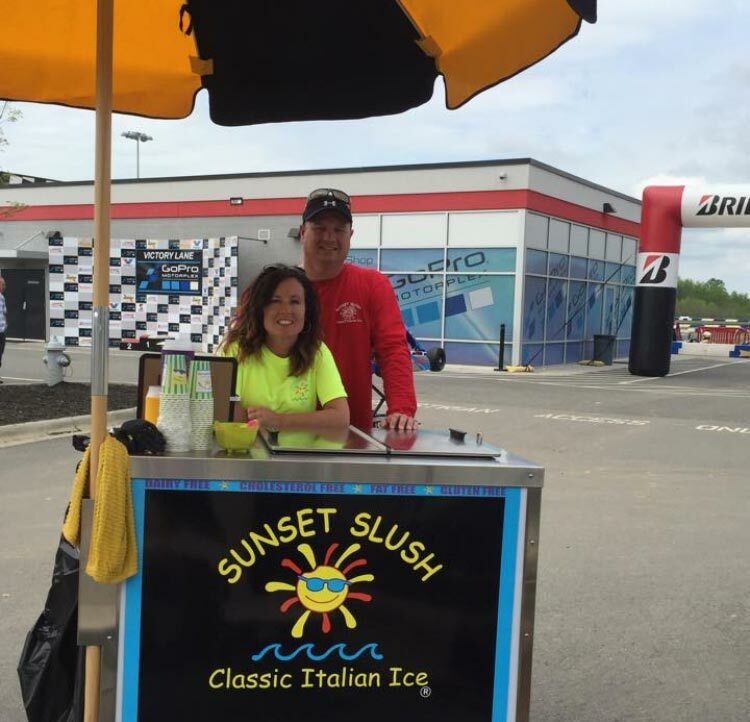 Stephen and Catherine Saia are the founders/owners of Sunset Slush - Classic Italian Ice®. They moved to Brunswick County, NC, in September 2002. Stephen is from Boston, MA, and Catherine is from Oakton, VA, a suburb of Washington, DC. They are current members of the Brunswick County Chamber of Commerce. Both are former members of South Brunswick Island Rotary Club. Stephen was a partner in the former ICON Marketing; now Koolabrew. Catherine has her Real Estate License and worked as the Director of Marketing and a Broker at Woodsong in Shallotte for four years. She is a former Board member of Communities in Schools (CIS) and the Brunswick Arts Council. Both had careers in Telecommunications, prior to moving to Ocean Isle Beach. Stephen owned a Northern Telecom distributorship; following a sales career at Northern Telecom. Catherine was in Sales and Marketing for ROLM, a California based company that was bought out by IBM and then Siemens. Both are proud of Sunset Slush® and the growth they have seen in the past 16 years. It has been exciting to bring a new product to this area and make it work. They both believe that their success is due to the superior quality of the Italian Ice and their willingness to work hard.